Dressed in black, with black hoods, dark sunglass and a bandana to cover facial features: antifa has been classified as a domestic terrorist group by the FBI and the Department of Homeland Security. Remember in the news, people dressed in black smashing windows of businesses and burning cars, etc? Antifa claims to be anti-fascist, and thus the name antifa. They associate with communists, anarchists, and liberals. They beat people up, they sucker-punch unsuspecting targets and they generally are prepared to violently oppose capitalism, Trump supporters, and whatever they define as racism and fascism. Watch the news carefully and you will be able to spot some of these people in riots. They are just as bad as Ku Klux Klanners, white supremacists, skin-heads, etc. They do not like to be viewed as pro-violence; and yet, that is the most notable aspect of what they do. Google: antifafbihomelandsecurity. You will find plenty to read about antifa. 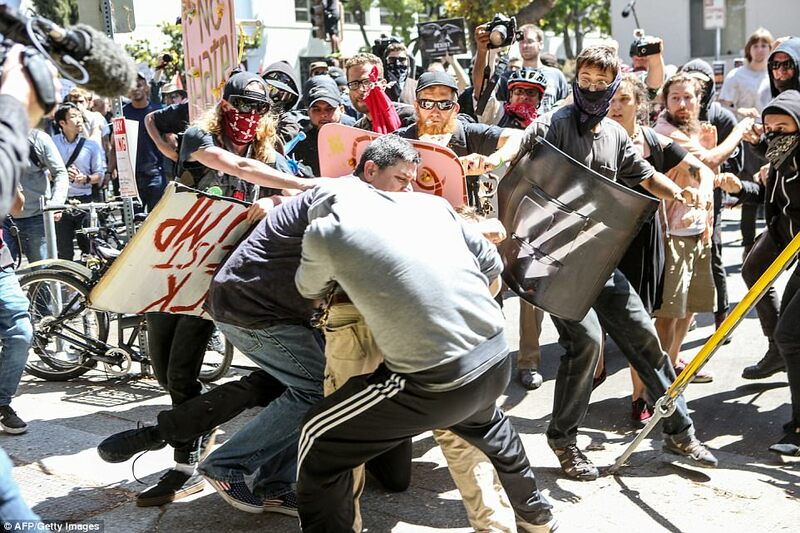 Question: Why are so many people, especially on the left and in the media, unwilling to condemn the actions of this group, but are ready and willing to attack others, who behave similarly? It seems that the media is very sympathetic to antifa’s cause, which speaks volumes about the media. This country is deeply divided along lines of ideology. Strife and conflict are inevitable in an environment such as this.